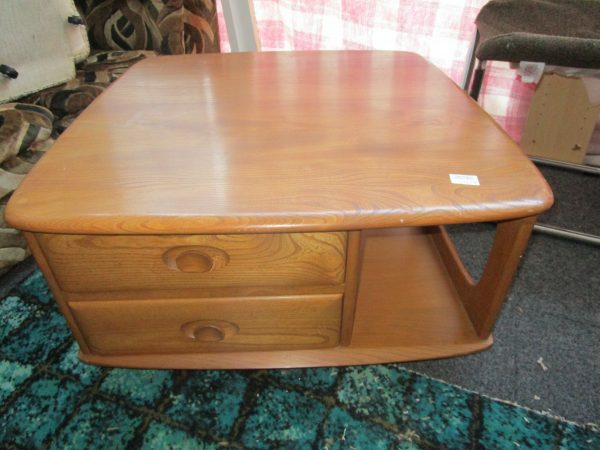 An absolutely stunning Ercol Pandora coffee table. A real centerpiece for any room. Beautifully made from elm, the color and the grain look fantastic. In great condition, structurally sound, drawers run in and out smooth, castors smooth too. 80cm X 80cm X 39cm tall.